In 2014, 3,179 people were killed, and 431,000 were injured in motor vehicle crashes involving distracted drivers.We have all seen drivers texting as we are going down the road. Heck, maybe you have done it yourself. But the consequences are get if there is a collision.If you have young drivers in your home, talk to them about the dangers of distracted driving and ask them to take the pledge against texting and driving. It saves lives……….. 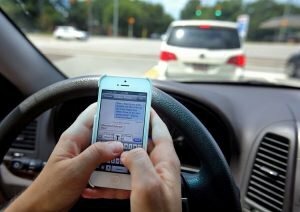 The post Distracted Driving Kills…. appeared first on Oberg Law Office.